"Dining should be an unforgettable sensuous journey of discovery", says the Elephant’s head chef Mathias Bachmann. We combine innovative tastes with traditional surroundings. You can indulge yourself with our specially-designed dishes in a classy setting. 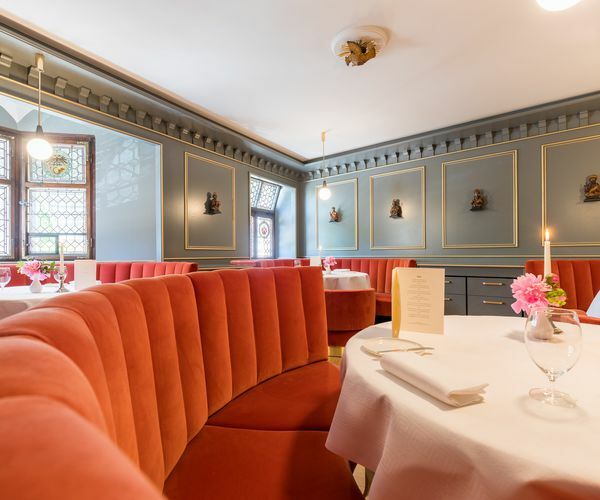 Under the leadership of Michael Falk and Mathias Bachmann, the Apostelstube was given a charming 1920s Art Deco makeover. Let yourself be spoiled by our excellent restaurant and kitchen team as you embark on a unforgettable journey for all the senses in a special atmosphere. 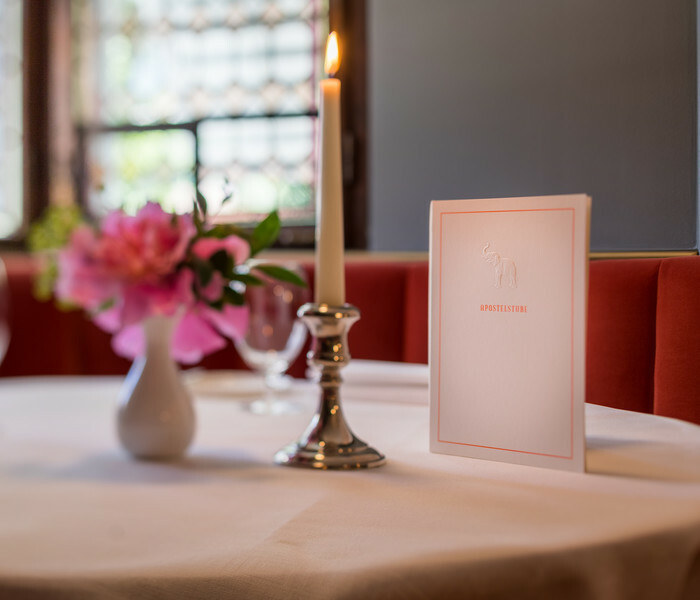 The Restaurant Apostelstube is open from Friday to Tuesday from 7.30pm to 9.30pm (closed on Wednesday and Thursday). You can choose between a five, six and seven course menu prepared by our head chef Mathias Bachmann. A table reservation is highly recommended in advance. Please indicate allergies and intolerances. Yes, Mathias Bachmann, our head chef, has a passion for cooking. 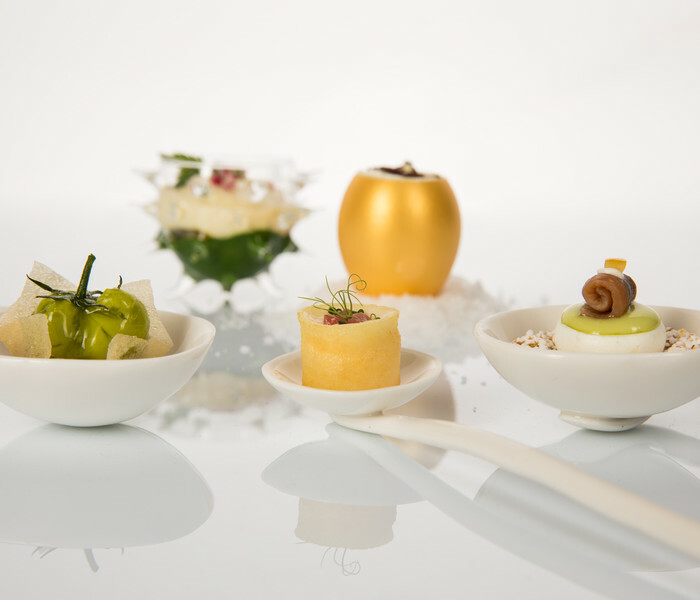 His work is precise, refined and always surprising while combining innovative dishes with extraordinary flavours. For connoisseurs and epicures: Join our service and kitchen team on a sensuous journey in a special atmosphere. Welcome to an unforgetable trip!